Belt Promotions & Christmas Party this Friday! 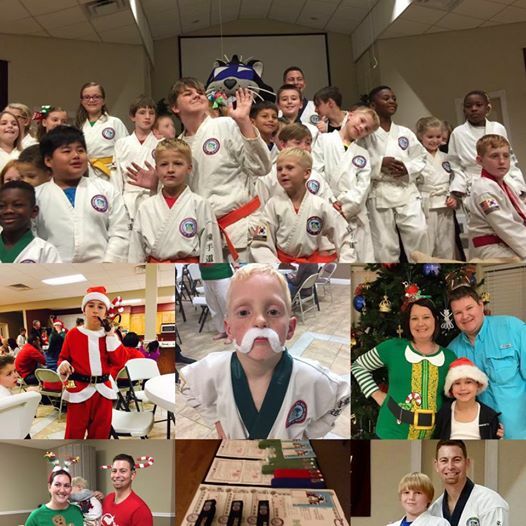 We are looking forward to seeing you and your family at our Belt Promotions & Christmas Party this Friday, November 30th (6pm) at Beulah Freewill Baptist Church. Be sure to wear your uniform and plan on having an evening of recognition, fellowship and family fun. Following the belt promotions, we will have our Christmas Party dinner in the fellowship hall. To help us organize, please sign up at the dojang for what items(s) that you plan to bring to the event. Feel free to dress up in your ugly or Christmas sweaters and bring your holiday cheer. See you Friday!